New research from Simplyhealth and YouGov has revealed that just over half of the nation (59%) supports the new ‘sugar tax’ which came into force. Plans for the tax on sugary beverages were announced in the Government’s 2016 budget in response to the nation’s alarming levels of obesity and poor oral health. Under the new levy, drinks with a sugar content over five but below eight grams of sugar per 100ml will see 18p added to the price of the drink per litre, and drinks containing over eight grams of sugar per 100ml will face an increase of 24p per litre. How will the sugar tax benefit our oral health? “Sugary drinks are a leading cause of tooth decay and acid erosion and offer little to no nutritional value,” says Henry Clover, Chief Dental Officer at Simplyhealth. “It’s encouraging to see that the majority of people support the new levy and understand the urgent need to address the alarming levels of obesity and poor oral health – particularly those of children - in the UK. “However, it’s concerning that one in five people say they would not be deterred by potential price increases of sugary drinks, suggesting that sugary beverages are seen as a staple item in some people’s daily diets. Do consumers understand how much sugar is in their food and drinks? Our survey also revealed that one in four adults (25%) admit to struggling to understand the sugar content on food and drink packaging labels, highlighting that many people may be unwittingly consuming much higher levels of sugar than they realise. Worryingly, amongst these, only 56% of 18-24 year olds knew that honey is a sugar, and only 41% of the same age group knew that molasses, fruit juice concentrates (44%) and maltose (50%) are also types of sugar. 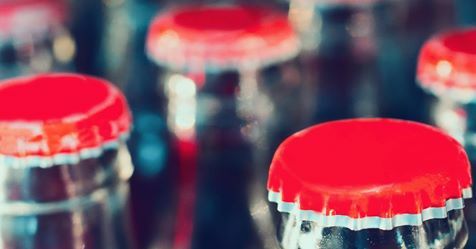 “Confusion over food and drink labelling and a lack of awareness of the recommended daily limits almost certainly contribute to the nation’s high sugar consumption,” says Henry. “It’s important that manufacturers and retailers make it as easy as possible for consumers to know what they’re purchasing and are transparent with their ingredients and labelling.